The first ever Youth Winter Olympics will get underway in the Austrian city of Innsbruck in a fortnight, with Russians expected to cause a fuss in several disciplines. Russia is sending a team of 67 athletes, and according to Russian Olympic Committee President Aleksandr Zhukov, some may soon be making history. “The upcoming Youth Olympic Games is a great chance for us to test out just how good we will be at winter sports in the near future. In some sports, even over the next few years, they could reinforce our senior teams very soon,” he said. “If some of those youngsters perform well in Innsbruck, they may, with a little more time, join the Russian Olympic team for Sochi 2014,” he added, wishing the country’s youngsters good luck. 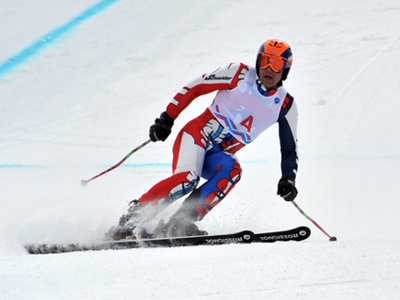 Approximately 1,100 athletes from over 60 countries are expected to compete in Austria. The decision for Innsbruck to host the Games was announced on 12 December 2008 after postal voting by 105 International Olympic Committee members. The Austrian city got the majority of 85 votes over Finland’s Kuopio.